Bret’s is pleased to offer a 10% discount on all parts (excludes tires and batteries) and labor for City of Olathe and Gardner Employees. Maximum discount $50.00. Bret’s is pleased to offer a 10% discount on all parts (excludes tires and batteries) and labor for Garmin Employees. Maximum discount $50.00. Bret’s is pleased to offer a 10% discount on all parts (excludes tires and batteries) and labor for Farmer Insurance Employees. Maximum discount $50.00. Automotive Solutions You Can Trust! Every car will eventually need auto service, but we want you to bring your car willingly, and not be towed to us for a major repair. Bret's Autoworks specializes in helping you avoid that worse case scenario. You can probably think of a thousand things that you'd rather be doing than getting auto service. We know you already have a busy schedule. However, all of our services are meant to save you time and money today, and down the road. 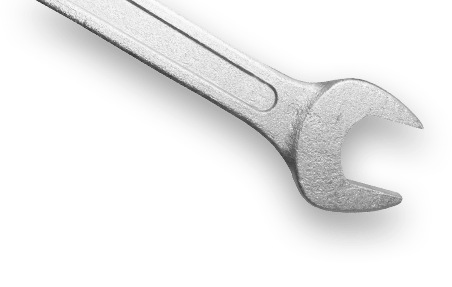 Neglecting routine maintenance is a recipe for automotive disaster. We make your vehicle's visit to us as convenient, efficient, and informative as possible. Your car's needs are not always obvious until it's too late unless you remember to bring it in for quality service. You now have a better choice when you're looking for a top quality repair facility! At Bret's Autoworks Corporation, we utilize the latest high-tech diagnostic equipment. 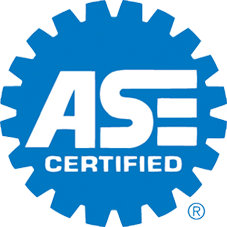 Our ASE Master Certified Technicians have many years of training and experience. Several have worked for some of the top dealerships in the area. You have nothing to lose with Bret's Autoworks! Our ASE Certified techs are highly trained and experienced. We are a full-service repair shop that provides all of the services you need, leave you with nothing to worry about. Relax and be confident in every repair we provide. Our auto repair experts have been returning vehicles to their original condition for over 25 years. Our ability to do it all quickly and correctly is why our customers keep coming to us first for all their auto service needs. We offer a 3-Year / 36,000-mile warranty on new parts and labor. It's just one of the many ways we stand behind our work . . . 100%! Join the many discriminating customers that have already discovered the superb service and integrity at Bret's Autoworks. Our techs work on all makes and models.